It's that time again - this week I am giving away these 14 vintage and antiquarian children's books. Lovely collection. I've been thinking about starting a Little Free Library... These might be a nice seed. I'm no more deserving than anyone else, just throwing my hat in the ring again. this is an amazing collection! be still my heart! What a great assortment of "Boys" books. I haven't heard of a couple of those series. The Stirring Stories sound very exciting! Oooooo - total kid's book aficianado! Our company has a "Bookitecture" drive where one can donate books and they'll be used to "Construct" something the kids design (non-destructive to the books of course) and then the books given away as the "structure" is "deconstructed"... These would be great to include. I love quirky books, things I've never heard of, and most of these fit the bill! Wow, this is such a wonderful collection! Thanks for an always entertaining blog! Pinochio! Creepy. Nothing like the Disney movie. Those books would have a happy place on my book shelf. Please include me in the giveaway! thank you so much! I know my DH would love these! Thanks for the giveaway! What a wonderful assortment of books. i love the title" Stirring Stories for a Winters Evening" It sure is getting wintry here now in Canada. I hope I'm not too late! I want those breathtakingly wonderful titles!!!!!! I collect children's books from all aras and am working on documenting my favorite examples of lost artwork as well. I can tell just from the cover (even though they say you can't) that some of these are real gems!!!!!!! I would love to read these to my little brother... he's become such a book worm and has made me so proud! Heck, I just want that copy of Hans Brinker, one of my favorite books from when I was a kid. First time caller, long time listener. 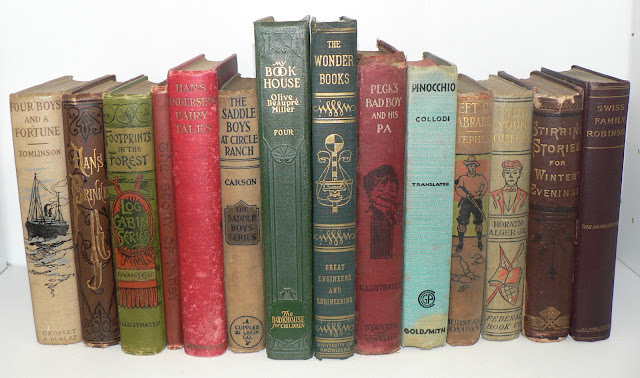 I love old-fashioned-looking books, as well as kids books. Looks like a beautiful set. Oh wow! 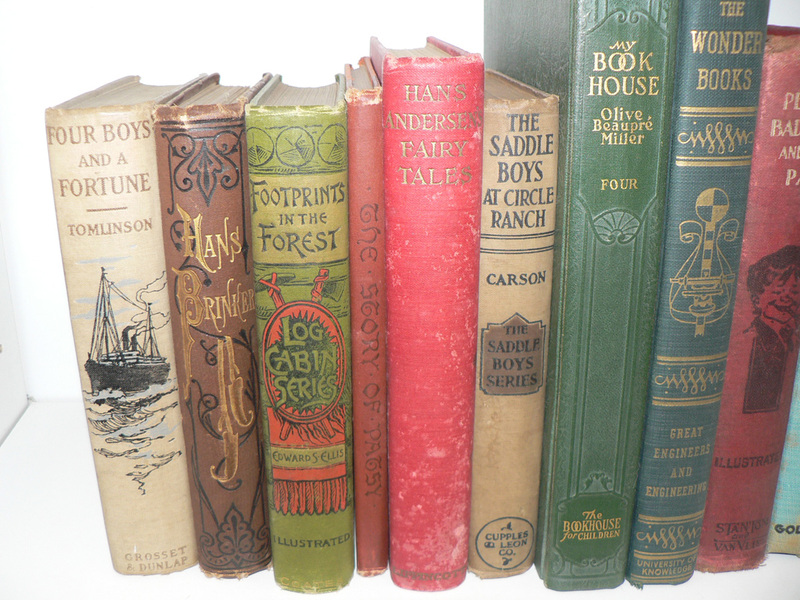 Hans Christian Andersen, Hans Brinker, Swiss Family Robinson, Pinocchio??? Fabulous! This group is full of treasures. Please enter me in the contest. Oh! These look exquisitely delightful! I'd love to have this particular set. Eeeeep! Not sure if I can get lucky again so soon after the last wonderful set I recieved but I can only try!...Lovely collection. Wonderful collection of treasure books. Looks like these were made to be Mine! I would love to own these beauties. 'Stirring Stories For Winter Evenings' looks like a charming read. Your website is a treasure among the rest. Beautiful work! Growing up with these stories truly inspired me to become the woman I am today. I'd love to keep my collection growing! Books are like friends. I'd love to make some new friends . . . and introduce them to my grandchildren. Those are really very lovely little books--thanks for offering them! Yet another contest I would love to win! I would love these for my soon-to-be baby girl! Some REALLY wonderful stuff this time around, LOVE the cover work on these. Oh how lovely. I do like books. I'll throw my hat in the ring over here as well! Would be lovely to win these books. I love old childrens books. What fun! 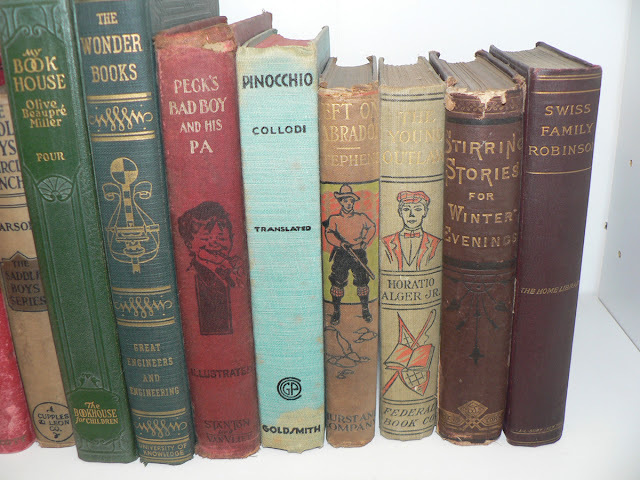 books as old as me! What lovely books. Thank you for the chance to win them.